Home - Sew What? Sew Anything! Dressing your windows and furniture for comfort, function and style. 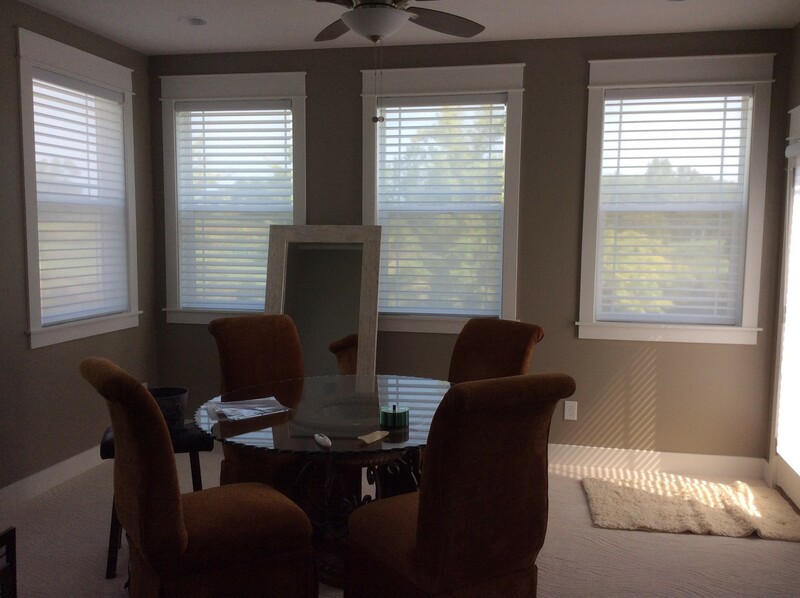 Custom window treatments including curtains or drapes, valances, cornices, and swags. 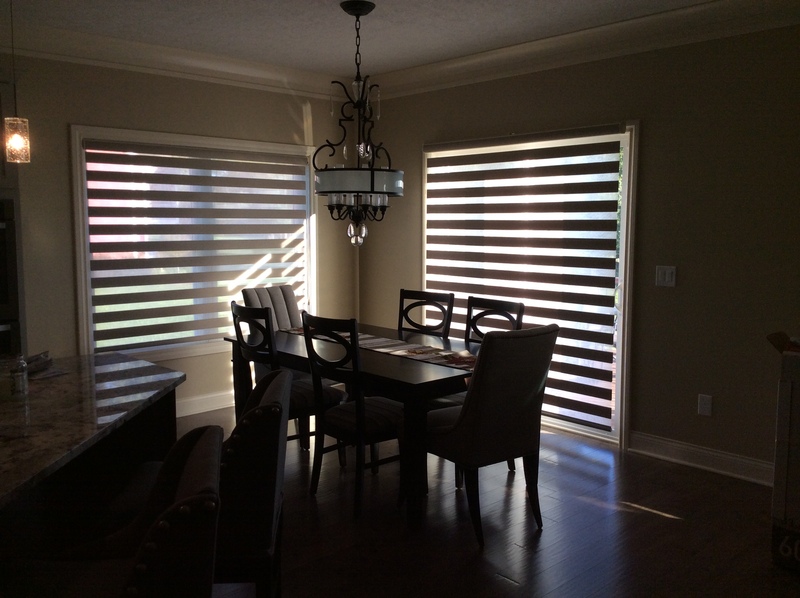 Wooden blinds, pleated shades, roman shades or solar shades all enhance the look of your home. Fabrics and soft goods such as pillows, cushions, duvets, and bedding add color and interest to your home. I can't even put into words how over-joyed Dave's mom is with her chair. We had a crazy Christmas with power out until Christmas Day. So her gift was postponed until the Monday after Christmas, but the surprise was just as wonderful; her eyes filled with tears when she saw the transformed chair and she has called us several times to thank us. Thank you for such an awesome job. This truly made her Christmas and ours too. Thanks so much! My experience working with Colleen was simply the best. She gave me just the right amount of direction; she didn’t let me make mistakes but I felt she knew I was not interested in someone dictating my style. Colleen is on time and on the mark. Our draperies are absolutely exquisite and show wonderful quality and craftsmanship. Colleen is a true professional. As an added bonus, she is a lot of fun to work with! I was very happy with the work Colleen did for me. She made a coverlet for my bedroom and window treatments for my kitchen and family room. Colleen is very detail-oriented and made sure to show me her work along the way. She was price-competitive and it's obvious she takes great pride in her work. In addition to all of that, it seems that she enjoys doing what she does! After building our dream home, Colleen helped us with some finishing touches. I am very pleased with the quality and design of the master bedroom duvette, shams, pillows, coordinating drapes and cornice board. 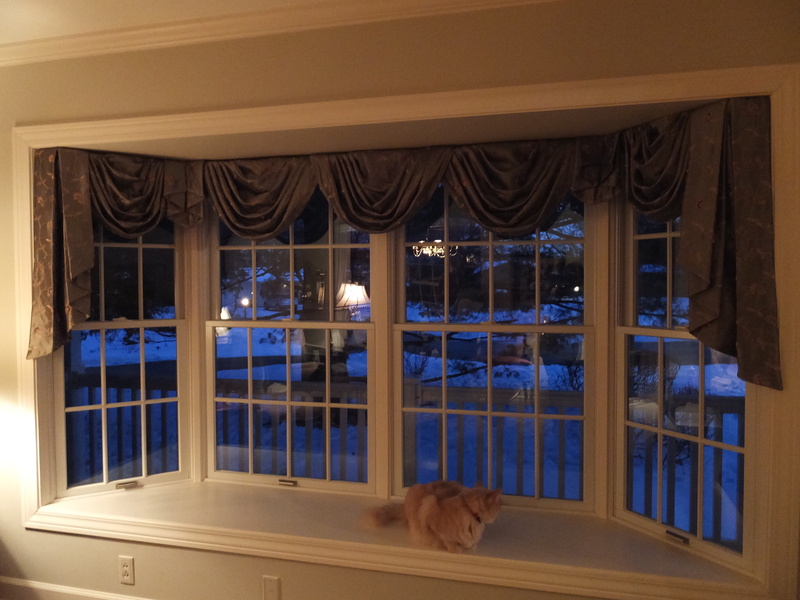 Colleen also did swags, valances, and pillows for our three guest bedrooms, bathrooms and laundry room. I highly recommend her work.